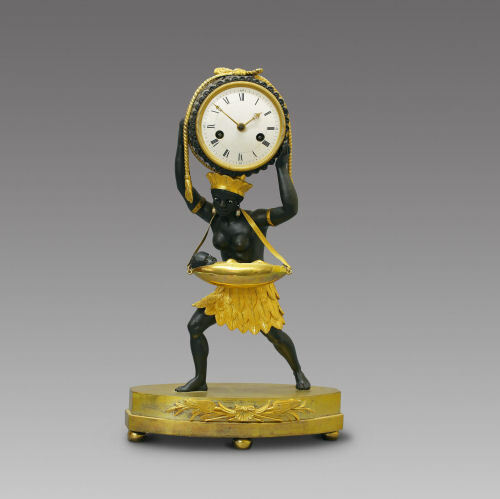 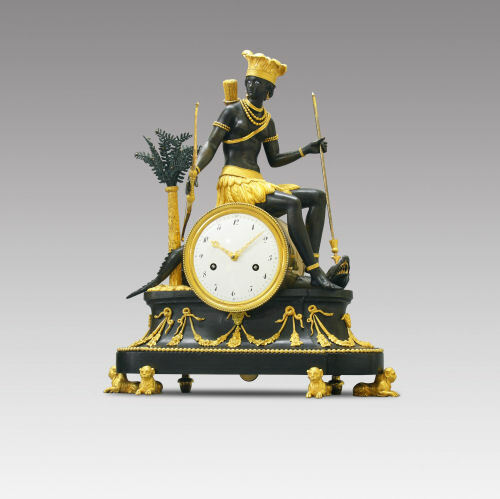 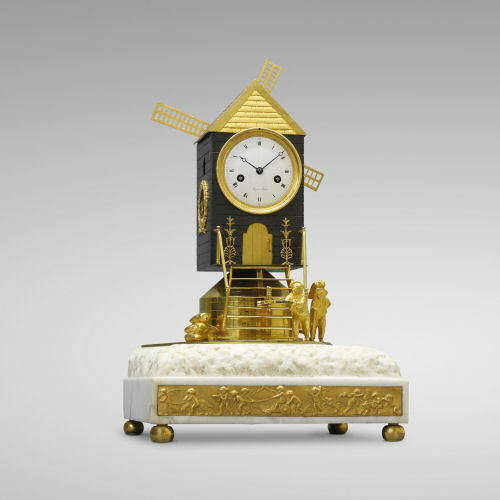 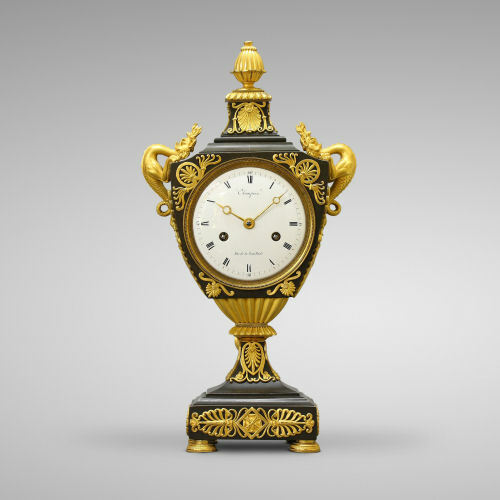 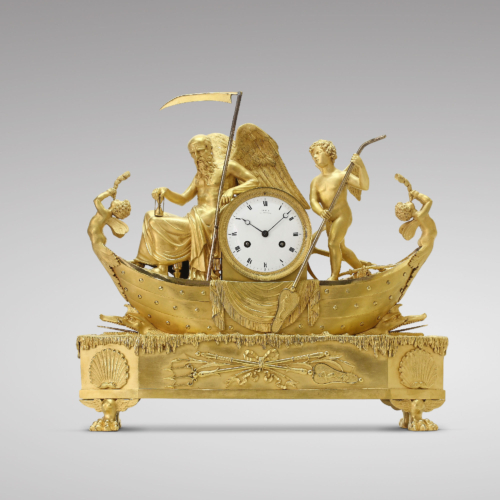 French “Noble Savage” Clock, "the Coffee Delivery Boy", Empire period, circa 1805. 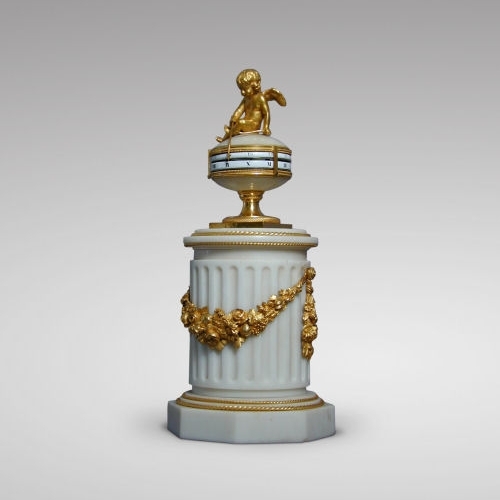 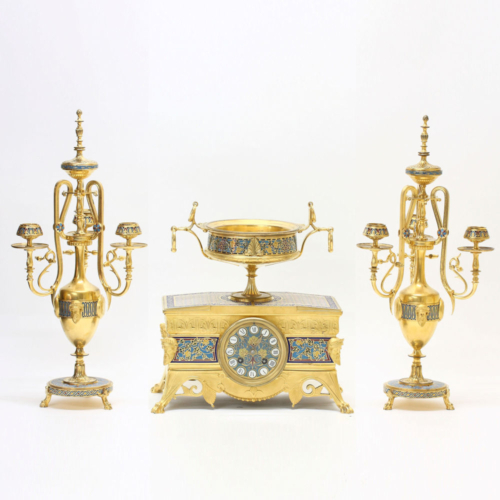 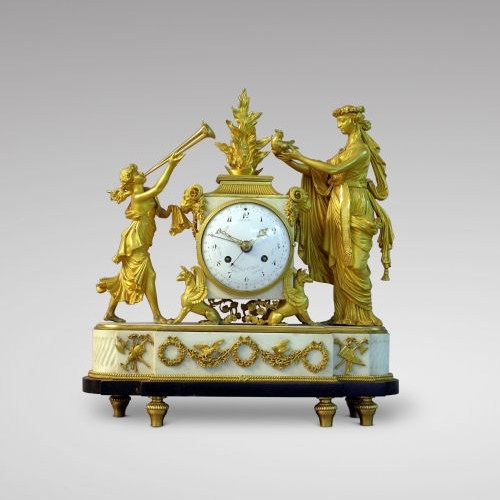 Rare French Louis XVI ormolu mounted Cercles Tournants mantel clock, circa 1780. 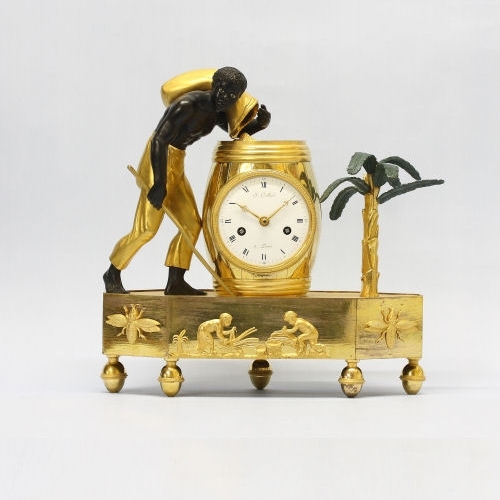 French "Noble Savage" clock representing an African nursemaid and her child. 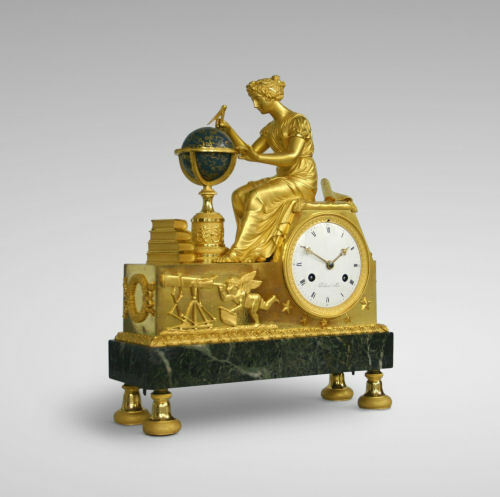 Empire period, circa 1800-1810. 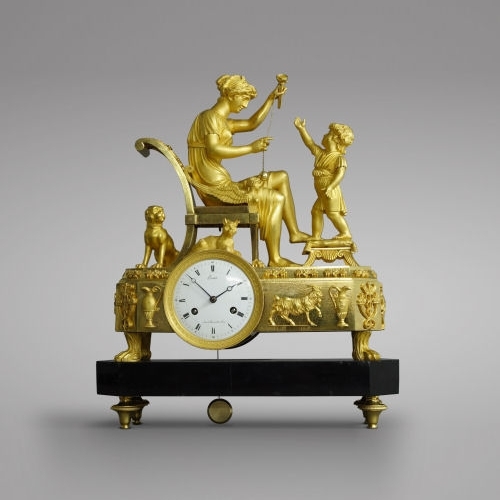 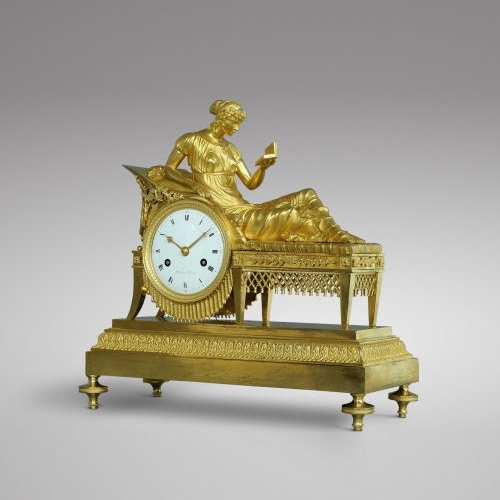 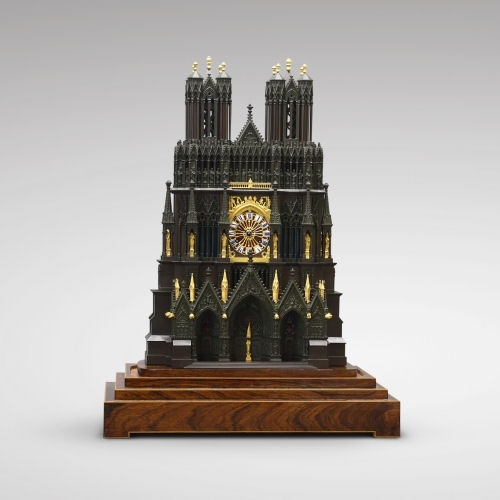 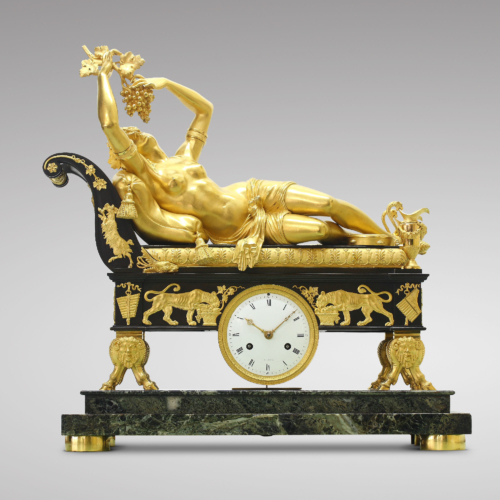 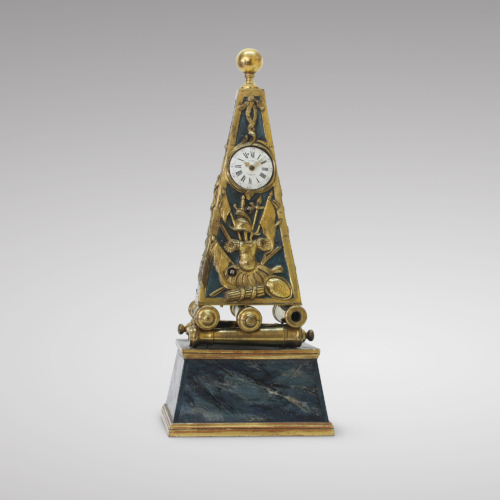 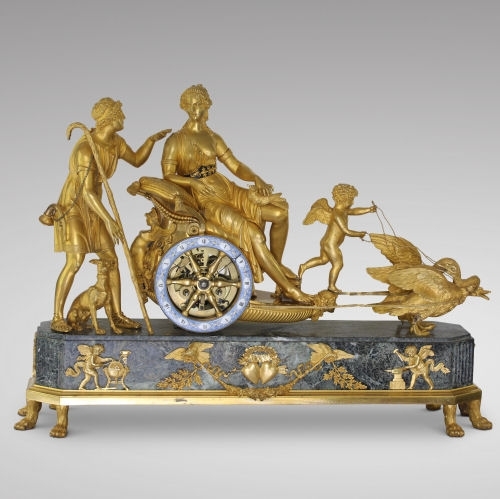 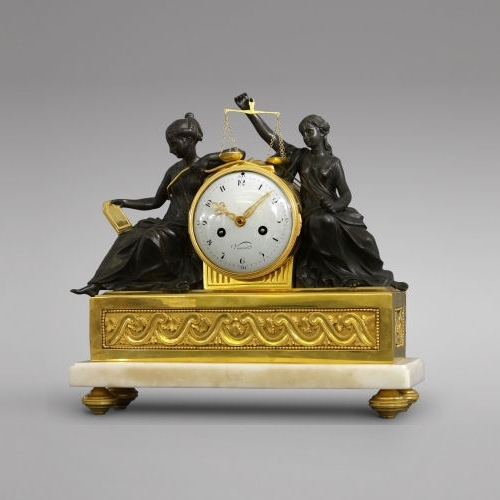 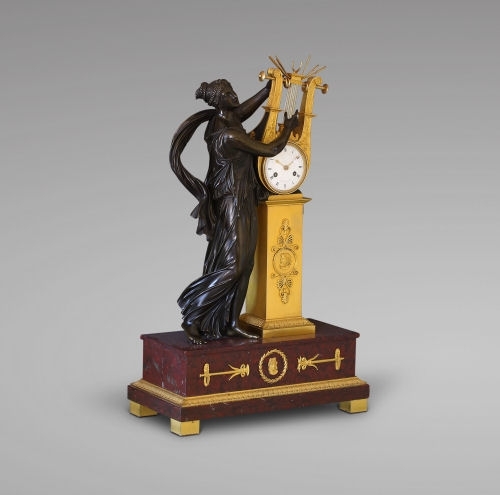 French late 18th C. marble and ormolu full calendar clock "The Vestals"
French “Noble Savage” Clock, very rare version of « L’Amérique », Consulate period, circa 1800.